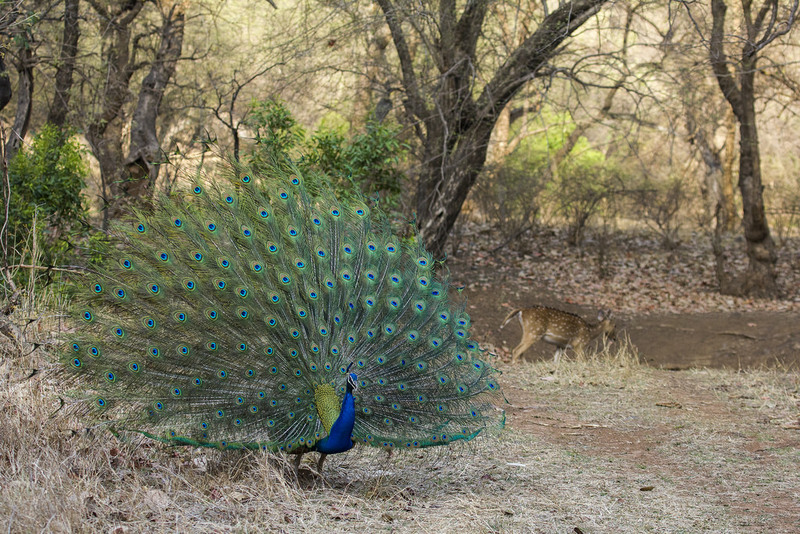 Part of the fabulous charm of this shot, Madhu, is the little deer/whatever stepping away in the semi-background: it ties the peacock in with his environment. Thanks a lot deutschlandisch 🙂 I did visit your blog…but think its in Dutch..Is there an option to translate the blog to English? it’s not easy to see…….